11:11 Collection bracelets are hand-stamped, single, double, and triple wrapped fine leather power bracelets with no two pieces being exactly the same. Our purpose is to inspire people to love themselves and their lives, always...through quality leather, sleek metal, and focused intention. Oscar Tomu knew from a young age that he had a flair for the creative. From mud sculptures to drawings, he found his love was in bending wire and metal to recreate the animals and birds he saw in the bush. Escaping Zimbabwe, he found work in South Africa, where he set up his makeshift studio at the side of the road. Threading beads and bending wire, his creativity and optimism under the harshest conditions is an inspiration. Your purchase of this fair trade, art supports extended families as well as the education of their children. Take home a small piece of Africa AND make a huge impact in these artist's lives! Carol is an Intuitive Healer, Spiritual Teacher, and Speaker especially skilled at getting to the root cause of what is holding you back from living a life of unconditional happiness. She will go deep into your Akashic Records to answer all your questions, help you overcome blocks, increase your abundance, improve your relationships, release your fears and worries and find out what you came here to do. Akouo Coaching partners with you and teaches you how to communicate with the Holy Spirit to seek answers to life questions. Learn to identify, remove, and manage negative forces in your life. Expect to experience and encounter the Holy Spirit for yourself. Kim will be doing FREE Holy Spirit Healing Sessions at her booth. Brandi Leigh encourages individuals, in 1-on-1 sessions or as a group, to explore and discover their inner wisdom. She often hosts, leads, and facilitates workshops and events geared toward the health and wholeness of your entire Being. As a healer her work integrates Shamanic practice, vibrational and energetic medicine, and sound therapy modalities, & intuitive guidance. Brandi is an experienced and certified Practitioner in Thai Yoga Therapy/“Thai Massage”, Reiki Master, Traditional Clinical Reflexology & Qi-Gong. 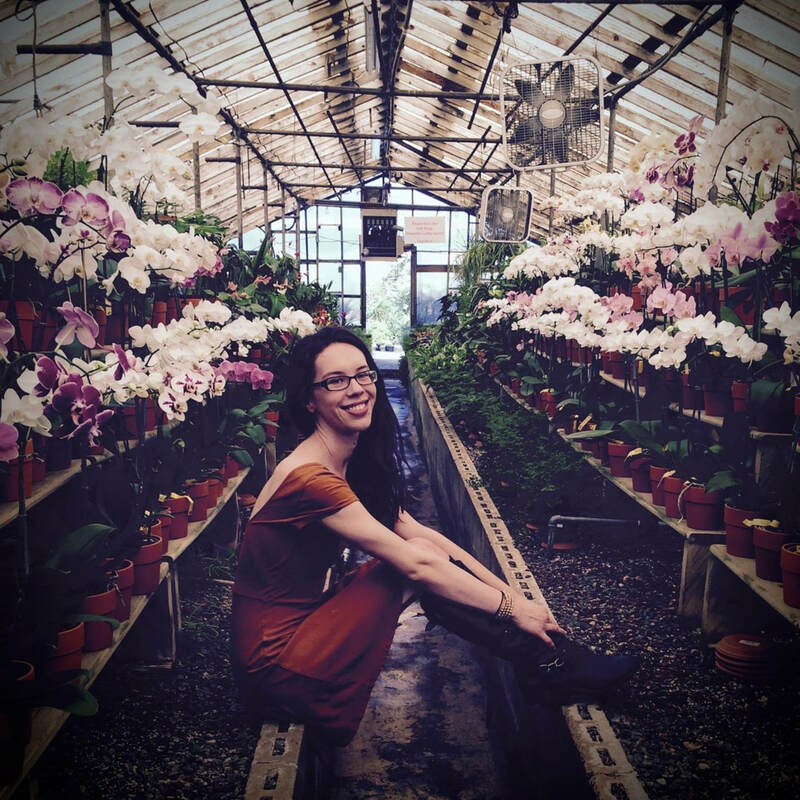 Austin Shook sessions utilize Reiki Energy, singing bowls, vocal toning, and intuitive body work. His heart centered connection to Source allows very high vibrational and pure energy to be directed into his work. This work with the energetic centers provides the opportunity for you to explore and release any negative thought forms, stagnation, and/or habitual body patterns that causes dis-ease. Austin has traveled and collaborated with other healers and practitioners all over the United States facilitating healing modalities to raise collective consciousness and awareness. Offering Touch for Health Balances: Stressed? Overwhelmed? In chronic pain? Can't think clearly? Performance not up to par? Touch for Health has solutions. Touch for Health is a system of energy balancing that works with subtle body energies by using the muscles as a biofeedback mechanism to assess the body for information in order to correct, using various techniques based on Applied Kinesiology and the Chinese acupuncture meridian system. All Things Spiritual presents beautiful hand-made gemstone jewelry of all kinds, homemade essential oil sprays, and many other items to assist you in chakra clearing and cleansing. All products are created intuitively by me, Cat Mamone, Reiki Master/Psychic Intuitive, meaning each product is filled with awesome energy for your every need! 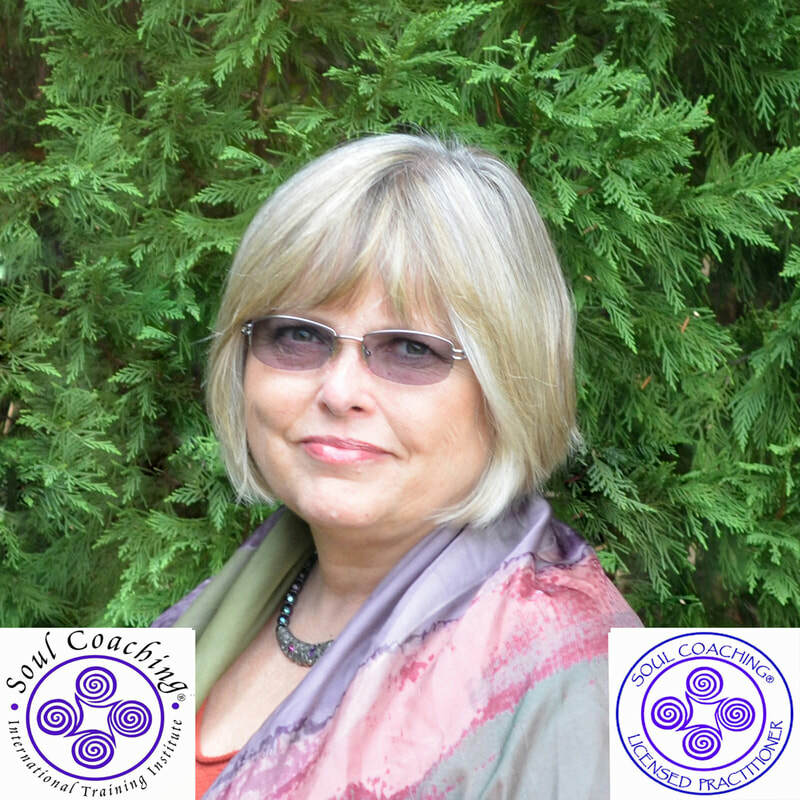 Judy One Speak, is a Medical Intuitive, Shaman, Universal Medium, Angel and Soul Coach who has empowered and inspired a million people globally through universal mediumship, healing sessions, coaching, and podcasts. She is the founder of Make Your Dreams R.E.A.L., a transformation program to help You Release What Doesn't Serve You, Embrace Your Authentic Self, Align with Your Highest Purpose and Love the Life You're Living. As a Spiritual Mediator, I provide insight about personal and workplace relationships as well as with deceased loved ones. I have conducted 3500 such readings in the past two years alone, although I have been a Reader since 2007. Ellen Valentine-Laperriere is a gifted Intuitive Tarot-Oracle Card Reader as well as a Hypnotherapist and Personal Development Coach. Ellen has been providing guidance and healing to others through the information she has studied as well as the intuitive information she receives. The intuitive information she receives comes in a variety of ways and confirmation of the information is often received in the form of tingling in her calves. "My personal mission is to be a catalyst for others to move forward in life and create an extraordinary life." 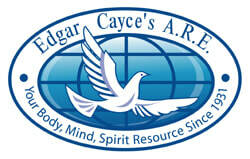 Edgar Cayce was called the Sleeping Prophet and the Father of Holistic Medicine. Students of Cayce turn to his body of readings for answers to questions on health, science, spirituality, and more. Our local Search for God study group explores our personal spirituality and growth using the Cayce materials. We believe that this is important work, no matter your beliefs or religious background. Join us to learn more about programs offered locally and nationally. Professional Visual Artist Brian Paul Heckman will be displaying his original artwork of swirling vortexes, twisty trees, clouds, planets, sunsets and stars. These are acrylics on canvas. Balance & Harmony 360, Inc. IT'S TIME FOR A CHANGE. At Beautycounter, we're committed to a health and safety standard that goes well beyond what's required by U.S. law: We've banned the use of more than 1,500 questionable or harmful chemicals through our "Never List”all while ensuring our products perform and that they're as indulgent as any other luxe shampoo, lipstick, or oil in the market. Sample products while a consultant educates and helps you make informed decisions. Big Fat World Tours takes cool people on fun trips to faraway places. Whether you love to drink wine, hike or are working up to a marathon, we have a trip for you. My booth will provide interested wanderers information about trips to faraway places as well as sell exotic items we have picked up along the way such as 100% pure Yak wool blankets from Nepal. There will also be a raffle for cool stuff! Chinese Face reading is over 3,000 years old was originally used by physicians to diagnose health. In addition, it was found that face reading could be used to determine personality. I use Chinese Face Reading to help clients with solutions to questions such as true calling in life and greatest challenge, relationship and partnership questions, questions regarding personal challenges. In addition, I will be offering your personal prediction for 2018! As an expression of Sacred Fire, Blue Deer offers a home for programs of Ancestral Wisdom and Healing. Blue Deer Center offers opportunities to experience the wisdom of the natural world, through programs of Ancestral Wisdom shared by elders of traditional peoples, healing with Plant Spirit Medicine and traditional healing. Along with educational programs in Plant Spirit Medicine. These can be experienced at our New York campus as well as other locations around the world. Sati Chappelle, Body Mind Spirit Progression, offers: Psychic Readings, Past & Current Life Solutions, Karmic & Soul-Level Information, Break-Through Momentums, Chakra Realignments, & Mantras. Sati is a gifted psychic reader, full trance channel, past life expert, chakra expert/healer, spiritual teacher, lecturer/presenter, & manifestor, all since 1989. Sati brings her expertise regarding the soul, your present life's progression, Chakra/Nadi balancing, Divine Alignment, past/present life Karmic Trends, & Breakthrough Momentums to people all across the US. This booth will be shared by two women who are in the business of embodying our most vibrant life, inside and out, helping to guide people into activating a path of soul connection, awakened leadership, mindful living and deep, transformational growth. With a deep emphasis on slowing down and remembering true connection, this booth will have space to relax and renew, mini experiential exercises, and resources to get you going on your path of connection. Nikki Aggarwal is an intuitive reader, healer, and lightworker here to help you shine light onto the darkest of places. As an initiated Mystic Priestess and undercover Shaman since childhood, she has studied the works of Kaia Ra, Sonia Choquette, Sandra Ingerman, Kryon/Lee Carroll, Michael Newton, Gregg Braden, & Paul Selig, among many others. Through the Tarot and Divine Guidance, she is able to help you illuminate your path forward. 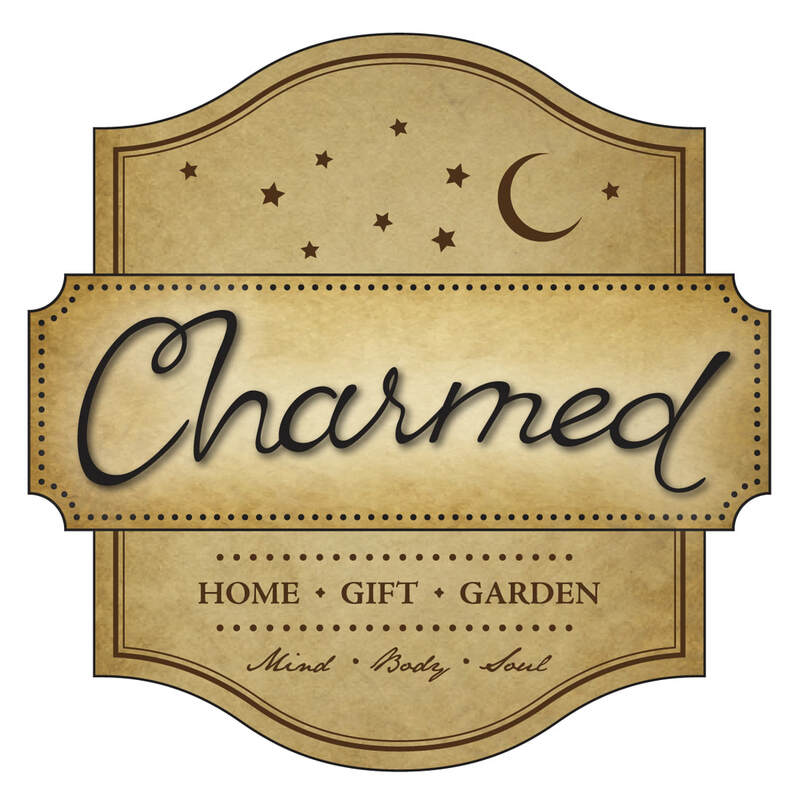 Charmed is a metaphysical supply shop. We carry a wide variety of items including handcrafted crystal jewelry, handcrafted dream catchers, Reiki candles, singing bowls, sterling silver jewelry imported from Bali, Flying Wish Paper, tarot cards, and meditation supplies. We also carry a variety of specialty gift items. Stop by and see us! Experience a medical intuitive reading and healing using the Sacred Structural Activation Technique. Christy Bales is a medical intuitive and healer who is committed to assisting individuals find freedom from diagnoses/labels and assist in the self-healing process. There are many causes to illness: feelings, thoughts, emotions, food, toxins, traumas from this lifetime, and past lifetimes. 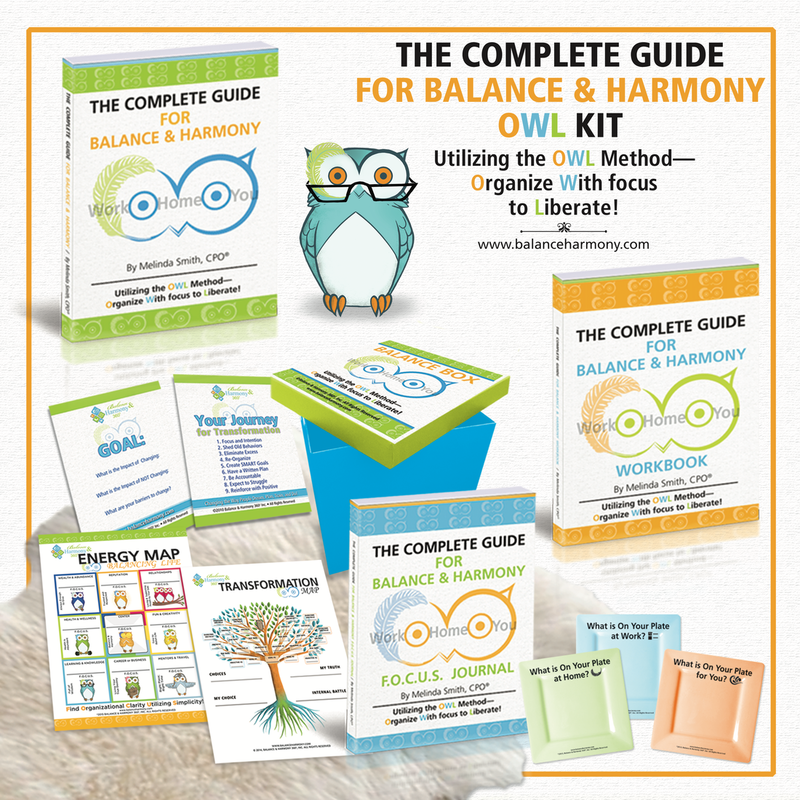 Find the answers to the cause of the issues AND receive a tool to assist in the healing process. 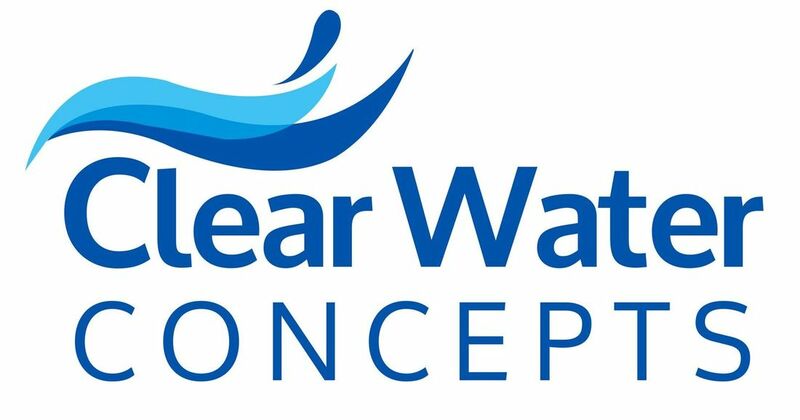 Clear Water Concepts will be displaying Westinghouse whole-house water treatment equipment. We are the leader in the industry for removing chemicals that are in your municipal water. Stop by our booth to learn the effects that your water plays not only on your body but your household appliances as well. Kristen Oliver, MOT, OTR/L is a, author, speaker and transformational coach. At her booth, she will be offering her book, The Connected Parent--Uncovering Your Peace and answering your difficult questions about why you are blocked in receiving what you most deeply desire in any and all areas of life. Ask her about one client who dropped out of graduate school only to end up making SIX FIGURES within one year! You'll receive a special gift if you guess what this client is doing now. Offering: Ancient stone medicine workshops; gemstones, elixirs, room sprays, crystal healing grids; sacred singing bowls; women's moon circles and meditations. Crystal healing bed, by appointment. D-Lights Soy Candles features handmade soy candles and wax melts made with 100% herbicide and pesticide-free soy wax, premium phthalate-free fragrance oil and lead-free hemp wicks in fully recyclable mason jars. Exclusive to Shift Charlotte, D-Lights will showcase a new line of candles. Using aromatherapy coupled with our intuitive gifts, this new line is specifically for promoting positive energy, protection, self-care and blessings while clearing negative energy and thoughts. Our ultimate goal is for D-Lights to brighten your spirit, your mood and your outlook, and at the very least, put a smile on your face! Biofeedback Chakra balancing with a crystal infusion. Enter the quantum field of light-weaving! Using the IQS Biofeedback machine and her Intuitive Energy Healing Techniques, Diana will facilitate the release of any imbalances that are held in your energy field. Once balanced, you will receive a personalized crystal that has been attuned and imprinted with your specific energy frequency that will help support you live in your highest vibration. Additional crystals available. 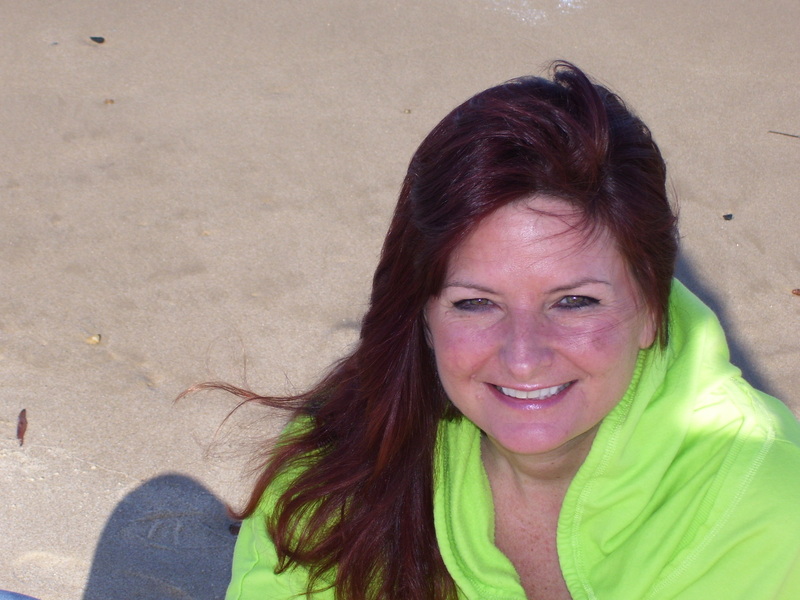 Diane Hamilton is a highly intuitive gifted Psychic Medium and Certified Angel Card Reader. She is sensitive and compassionate with both people and animals, which creates a bond of trust between them. In addition to working with the Angel Cards, Diane has been mentored by world renowned Psychic Medium Lisa Williams. Currently based in North Carolina, Diane is available for personal consultations and travels throughout the region giving psychic readings. Dr. Renee Healing Art products are designed to enhance the home and workplace with images reflecting life's energy and healing. Dr. Renee's art work combines her passion for healing with her gifts as a quilter and fiber artist. Her signature line of prints and specialty products are inspired by her belief that those who heal, those striving towards health, and humans in general, feel better when they have objects of beauty in their environments. Emmy Eff Designs is a magical haven for handcrafted jewelry, complimenting minerals & bohemian decor. I specialize in lapidary, metalsmithing, precious metal wire wrapping, beading and many more design mediums to turn a wonderful healing stone into an intentional piece to wear in every day life. I hope as you experience each unique piece you are reminded of how truly unique you yourself are, too! Raleigh Lightworkers Tairy Rose and Eliza are on a mission of LOVE to add JOY & SPARKLE to your life!! Enchanted Hairlights use only 100% silken strands of pure BLING for your hair!! Each silk strand is tied to one of your own natural hairs for a subtle or colorful sparkly effect and last as long as the hair it's tied to! Allow your inner child to SHINE with Enchanted Hairlights! Entwined With Light, LLC is exited to offer our Be All Inspirational Cards and glasses. Be All cards is a pocketful of inspirational cards you can take with you anywhere! The card deck compiles 39 actionable messages, made from love and light, to drive inspiration into your daily life. Susan Reynolds has worked as a Karmic Astrologer for 35 years. Karmic Astrology looks at your soul's journey. What were your past lives and how do they impact your current one. 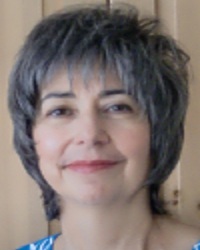 As an intuitive Susan is able to connect with your Spirit Guides to provide information on the past, present and future. With integrity, humor and compassion Susan is able to provide dates, times and specific help on a variety of life's questions. "I utilize the Alchemy of Selenite Swords of Light to help activate higher energy frequencies in the body." Ascended Masters frequencies are channeled through the swords and are further enhanced with Sacred waters, mantras, Sacred Ash, and 200+ power crystals inside the handle to complement the selenite swords. This Alchemy is unlike anything else available today to transmute negative energy and resolve health issues, open up and balance chakras, clear energy bodies, and stimulate meridians. Experience a reading from Holistic Intuitive & Master Tarologist Gina Spriggs, who will be using her Lumin8 Healing Oracle. Explore the different opportunities available in her NEW Oracle Academy – with special BONUS PERKS just for SHIFT attendees. Free neurological spinal health assessments. We use our state of the art technology, which allows us to measure the stress on your nervous system that can lead to aches, pains, irritation, and ultimately dysfunction throughout your body. This allows us to get to the route cause of your health concerns. By combining tools from my work as a therapist, life/health coach and Body Code Practitioner (a form of energy healing), I help people release what's keeping them stuck in the past so they can live the future they desire. Holistic Health by Michael Ulm will be offering cutting edge holistic health care alternatives: herbals, homeopathies, flower essences, long distance modalities, hands-on-procedures and bio-feedback. 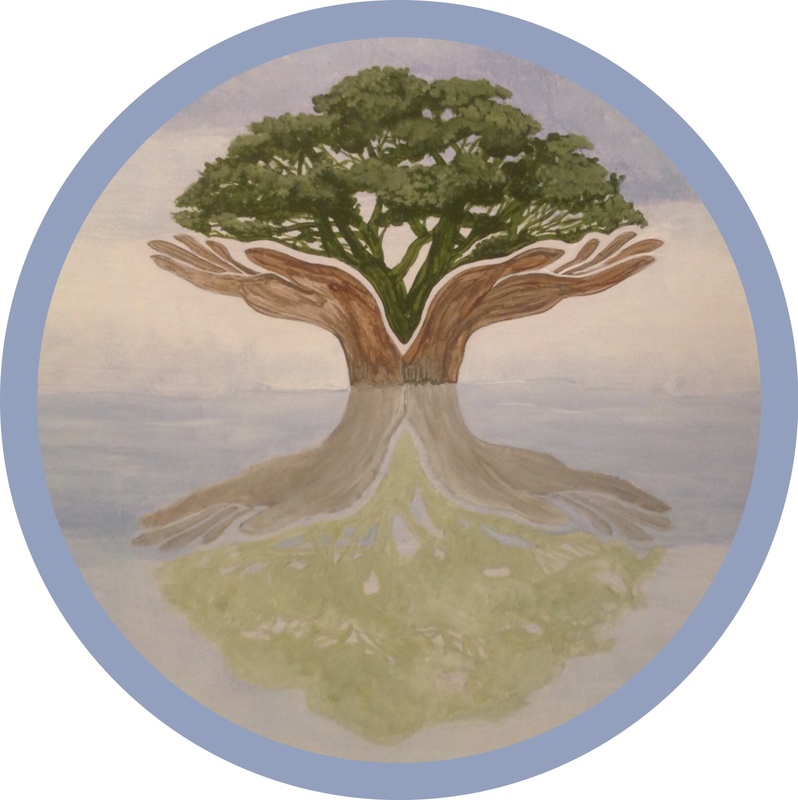 Holos University Graduate Seminary is a virtual higher education opportunity for those in the alternative health arena to gain a masters or doctorate in holistic health and spirituality. We prepare students to integrate Universal Principles of Energy Medicine, Spirituality, and Holistic Health through self-development, scholarly exploration and research, and compassionate service. We invite you to explore with us. Stop by and see our beautiful handcrafted one-of-a kind pendulums, in all shapes and sizes, that serve as dowsing tools and necklaces. We also have various orgone items and other gemstone divination tools. Ask us for a free dowsing demonstration and receive information that can help you gain insight into questions or concerns that you may have. Expand your understanding of the fastest growing, most effective healing being used today, HYPNOTHERAPY! Achieve self improvement goals quickly! Learn the benefits of Past Life Regression & how it helps you uncover life purpose, understanding of repeated relationship patterns, forgotten talents etc. Reiki treatments, Angel healing & readings are being offered. Marni's Intuitive Healing is widely known as salve for those who have questions and need hope and direction.The moment she connects in with you, you know you've met someone who will help you find peace and happiness and the answers you seek. She helps you see what's holding you back while helping you transform into the person you are ready to be. Through her wise guidance, knowing a great weight's been lifted from their shoulders, her clients experience a healing and clarity for the path ahead. Melinda offers readings by drawing pictures and symbols she receives from Spirit. While she draws, messages come through for you through the art. This unique way of delivering messages creates a strong connection with your guides and loved ones who frequently come through with messages for you. Spirit speaks to Melinda through your personal Spirit Guides and your ancestors. She takes these messages and transfers them to a beautiful unique piece of art drawn exclusively for you. Your painting will contain messages that you will see immediately, and messages that you will see months later.  Jen Hatley Massage Therapy is pleased to offer relaxing and rejuvenating chair massage at SHiFT Charlotte 2018! Chair massage has lasting physical effects that help boost wellness long after your time in the chair is over. You'll find reduced tension headaches, increased blood circulation, decreased stress and anxiety, and an improved overall mood. Who doesn't love a mood-booster? Come visit us! Jess Bubbico is an Intuitive Female Empowerment Coach who helps women to discover who they are and what they want out of life. From coaching, to personal development, to spirituality, to energy healing, and beyond, Jess helps arm women with the tools, confidence, and motivation to kick dissatisfaction to the curb and begin creating the radiant life they dream of living. Stop by her booth for an Intuitive Energy Healing and to learn how to create the life you desire! 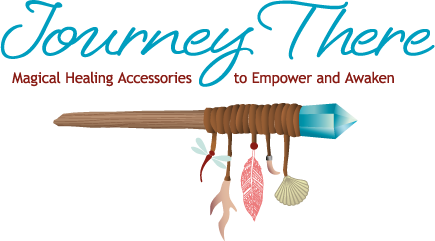 Journey There Wands has handmade Shamanic Healing Magic Wands & Rattles, with crystals, feathers, animal medicine and infused with Reiki and Councils of Light energies. Wands are channelled/created from the energy of the wood. As the wood is sanded the energy of the wand begins to come through, calling to the energies of certain crystals, feathers and adornments. All the energies synergistically work together empowered by your intentions and love. Build your nutritional foundation with products using advanced delivery technologies utilizing the power of liposomes & enzymes for optimal nutrient delivery and absorption. CORE-COMPLETE organic Superfood blends multivitamin/mineral complex with whole green foods, super fruits, Probiotics, Omega 3,6,7,9, digestive enzymes, and more. RENEW to reduce inflammation in the body. SLEEP to have a healthy, rejuvenating night's sleep to awake renewed & rested. Non-GMO, Vegetarian. The difference is the delivery and that makes all the difference! 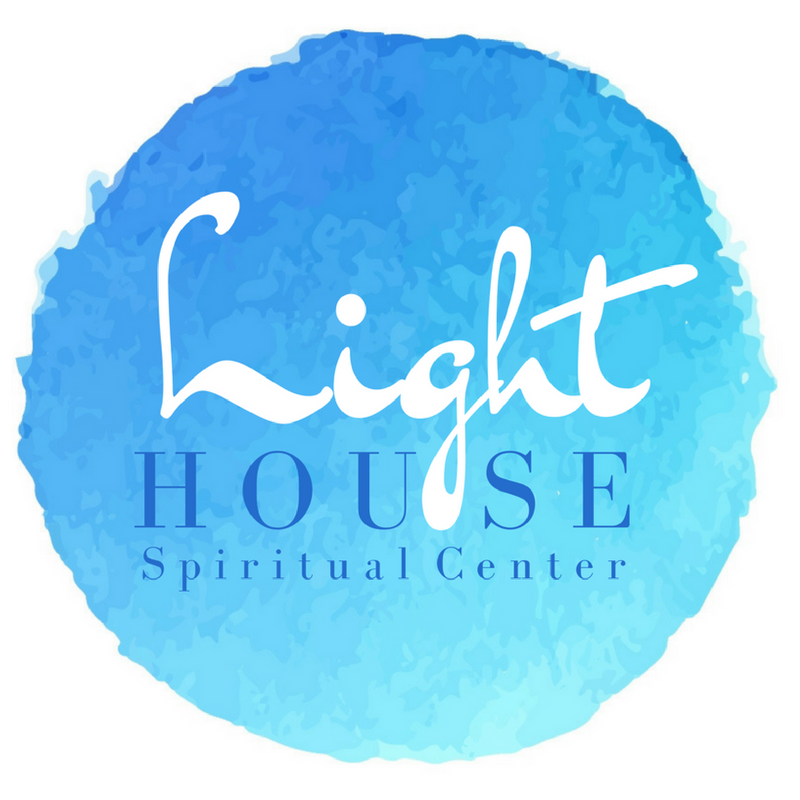 Debbie Chisholm and Kendall Heath of Light House Spiritual Center in Mooresville, NC, will be offering their popular Light Language Readings. They have been working with the language since Debbie began channeling it through meditation and Master Energy Work in 2015. As an Intuitive Medium, Kendall translates these loving & healing messages from Light Beings in other dimensions who wish to communicate in this universal native tongue. Experience heart light activation, spiritual insight, support from beyond the veil, and a remembrance of your true self through Divine Love & Language. Entering the Liv Naturally booth is entering into a world of natural bath and beauty products. A few years ago, I met a woman that started talking to me about chemicals in hair color; since that day, I have realized just how many chemicals are in ALL of our products that we use. When I wasn't able to find exactly what I was looking for - something that would work and also was free of chemicals - I started to play around in my kitchen with different recipes, until I finalized them and created my own product line! Natural doesn't have to be boring! Schedule a reading with Maritza for psychic insight into the most pressing problems in your life. For years she has helped hundreds of satisfied clients with: Health Concerns, Love Troubles, Family Problems, Career Moves, and Important Business Decisions. I inherited my ability from generations of psychics. For most of my childhood I suppressed my gift due to lack of understanding. Years of helping family, friends, and others has allowed me to embrace my ability and become confident in my gift. The positive feedback and gratitude I have received from others I have helped has allowed me to realize that this is my calling. I am now embracing my true self and sharing my gift with you. "Sometimes on our journey, we find we may have lost our way. We may feel we are off course and are seeking guidance and direction. The connection to Spirit is the conduit to opening our hearts and letting the healing process begin. A reading is an opportunity to open our Soul and let it speak, sometimes we just need assistance in accessing it. Connecting to our loved ones in Spirit is a blessing to be shared and truly sacred work. Whichever path we choose to take together, know that I am in Service to both those seeking to heal, while also being in Service to Spirit." Meredith provides detailed astrology readings using the natal chart as an archetypal tool to better understand the Self in its many forms. With a background in depth psychology and neuroscience, she fuses the intelligent with the intuitive and carefully explains your tendencies with sensitivity. Moonstone Minerals is a mix of gems and stones with metaphysical healing purposes. Each stone is unique and handpicked for this event. The stones are mined all over the world and imported to North Carolina. 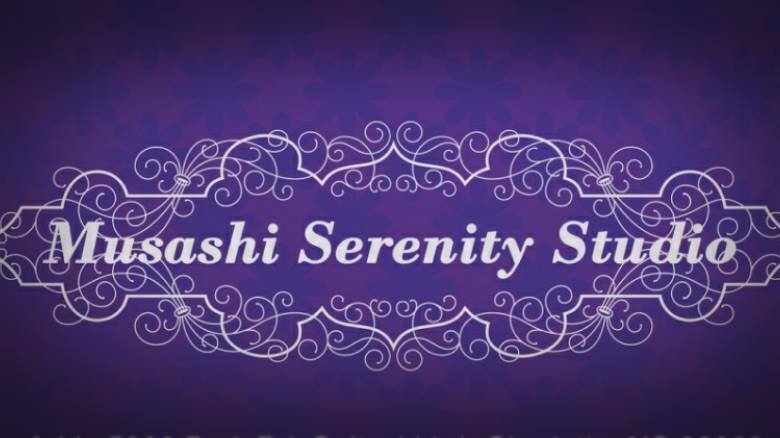 Musashi Serenity Studio is here to provide you with a detail-oriented focus on your specific therapy needs. We will provide Tui-Na Massage (Chinese Meridian Massage), Cupping Therapy and Manual Lymphatic Drainage. Come visit our booth and see how our techniques are different than what you might have experienced as western massage. You will receive many additional health benefits than is typical for regular massage. Numinous Business Development connects creative professionals with the tools and knowledge needed to grow their business to stand out as the brand of choice in their market. You already have an amazing talent. Numinous lends you our business savvy to ensure your business practices are equally as impressive. Services include: Business coaching, Entrepreneur start up support, Marketing plans and creation of deliverables, Annual Operations Plans/Goal setting, Policy and Procedural Manuals, etc. NuVibration was formed with the goal of bringing energy-enhanced products to the public. Each of our supplements is infused with high vibrational energy that amplifies its affects in the body, along with providing additional healing benefits. It’s like getting a powerful energy treatment without leaving your house! 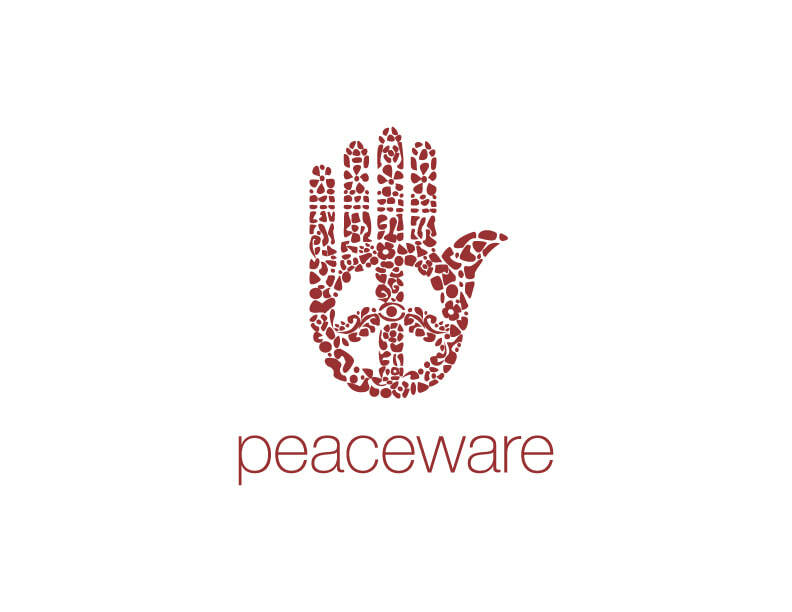 Our goal is to help people live lives that are more peaceful, productive, and purposeful. 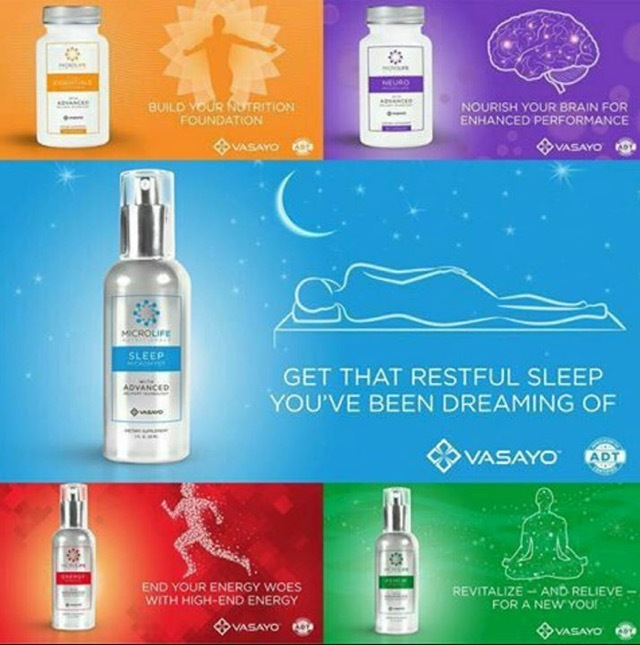 If the energy in our products helps each of us enjoy enhanced vitality and a clearer connection to our heart & spirit, then we consider our mission realized. Of the Earth Wellness is a naturopathic medical clinic which provides an alternative and compliment to the conventional medical model. We treat a variety of health concerns such as thyroid disorders, autoimmune disease, adrenal dysfunction, etc. The wellness clinic operates from a small dairy goat farm, Wish We Had Acres. The farm offers goat milk soap, natural deodorant, and herbal medicine. If it is time for you to step onto the Shamanic Path of Service, Otter Dance School of Earth Medicine will help you open your heart and see the truth of yourself. These teachings will challenge you to bring forward the authentic and tangible Healer that is within you. It will also empower you to remember your connection to all that is Sacred, to all our Relations and to Mother Earth. Sustainable textiles and accessories sourced from traditional craft communities in India. We are based in Davidson NC. Pollynation Apothecary is a local, small business specializing in natural hair & skin care. We create products that actually work. Pollynation Apothecary uses organic herbs, high quality carrier oils, and no artificial colors. Our mission is to help people feel their best. Our Products are pharmacist formulated and used to help many medical conditions. Each product is packed with activated, potent, advanced hemp medicine from plants raised genetically for medicine on the Hemp Research Institute Campus. We are farm-to-patient and our medicines are sourced for their potency/purity to encourage a healthier lifestyle. Our hemp derived CBD products are extracted from internationally pedigreed, proprietary, certified hemp seed which yields a FARM FRESH consistent, quality product, grown and processed with love by 7th generation Kentucky hemp farmers. Ed is a certified medium, empath and psychic. When he connects with past loved ones he uses clear sight and empathic abilities to feel the bond. An intuitive reading will help you receive guidance from your spirit guides and angels. He calls this the "Cosmic Connection". Along with readings, an array of spiritual items such as crystals, singing bowls, pendulums, pendulum boards, etc. will be available for purchase from his store "My Little Meta Shop." Hydrate, Repair and Renew using only the finest All Natural and Organic Ingredients. Charlotte Integrative Health Coach and Mom formulated, this product is Safe & Effective for ALL skin types and ALL ages. This Hypoallergenic, Plant Based, Non-Comedogenic & Fragrance Free cream is Ultra Moisturizing, Powerfully Anti-aging and Amazingly Healing! Visit the Pura V booth to meet the formulator and try a free sample...your skin will thank you! Purple Girl Designs by Amber provides hand made Gemstone Healing Jewelry for the Mind, Body, Soul and Spirit. I teach and share what gemstones/crystals can do to help you on your journey. Rolfing Structural Integration helps people do what they're bodies and the beings within them were meant to.... Move! Express! Enjoy! Through this mindful hands-on and educative holistic process we balance connective tissue relationships to restore the body's natural alignment and optimize feelings of personal freedom, comfort, authenticity, and vibrancy. I'll be offering complimentary postural evaluations and answer questions about Rolfing. Coming to occupy our rightful space with ease and presence might be helpful for ones personal well-being and spiritual development. We have the finest selection of Herbal products, gemstones and crystals, oils, incenses and spiritual blends of all kinds! Your one stop shop for all of your spiritual needs! Rev. Dr. Olympia Freeman is a certified Past Life and Angel Tarot Reader, who is clairvoyant and clairsentient since childhood. She offers insightful, compassionate guidance to awaken you to energy memories you are carrying from past lives, ancestors, previous generations, emotions, and karma which are limiting your growth, health and success. Dr. Freeman has been a consultant at the Edgar Cayce Foundation, and has a doctorate in Theology. ReVision Financial Solutions helps clients delve into - and change - the financial hang-ups that keep them from living a full, happy life. The key is personalized, comprehensive programs that balances education, tools, and skill-building. With ReVision's holistic financial therapy, clients develop the skills to establish a confident and empowered outlook on life and build a happy, health relationship with money. "An abundant life starts with changing how you see your money!" River Organics is an independent beauty company, located in Wilmington, North Carolina. Our makeup and skin care are formulated to be safe for all skin types and come in recyclable sustainable packaging. Our line of facial oils, body oils, and lip balms offer a simplified approach to maintaining and nourishing your skin. The products are conceived by wife and husband team Corinne & Fabien, natives of Canada and France. Corinne is an Art Historian with an eye for simple beauty and Fabien is a natural product chemist who worked in the Chanel skin care laboratories in the South of France, where they both lived for 8 years. Contacting a passed over loved one: If you wish to contact a passed over loved one, I will find your loved one and you will have the opportunity to say and ask questions and hear their responses. I am simply the 'translator'. Psychic Reading: Contacting your Spirit Guides, getting answers to questions, & finding your path with direction from Spirit. I am able to see your life's true potential. Contacting an animal, here in this world or passed over: I have been called The Guardian of the Guardians. I provide animal communication and more as I am able to see the soul connections between you and your animal. Retreats, Workshops, Reiki, Intuitive Readings, Life Coaching, Health Coaching, Sound Soaks, Meditation, Yoga, Women's Circles, Chakra Balancing, Cleanses and more. Mandi and Kim developed a five branch approach to wellness. The passion for this company was sparked many years ago to create events and retreats that fill the soul, replenish our over-worked bodies and minds and rejuvenate the heart. We offer weekly yoga classes, sound soaks, private intuitive and wellness sessions as well as workshops and much more. Natures' goods made with love...We offer essential oil infusion bracelets, essential oil infused organic eye pillows, essential oil blend roll-ons and sprays, organic chap stick and gift jars. Experience virtual meditation, the new reality! Sanctuary Imports specializes in one of a kind vintage & repurposed furniture & art from around the world as well as offerings from local artists, eclectic gifts, jewelry, candles, crystals & more! We're also excited to host a variety of fun and informative workshops and events to support, engage, and enlighten our community! Serenity at Sunset offers divinely inspired creations for your smudging practices. Our hand-crafted and custom-order feather smudge wands along with a wide variety of sacred herbs and smokeless smudging sprays are designed to support you, whether clearing your space of negativity, protecting your sacred space or preparing for meditation or ceremony. New to smudging? Visit us for more information and see our wide array of sacred products. The Gathering of The Forces of Light - The Transformation Has Begun. Information booth about the presence in the world of Maitreya, The World Teacher and the Masters of Wisdom, and how Their presence is related to the increase in UFO sightings, the rise of people power, crop circles, miracles and signs and social and environmental justice. With Their help humanity will chart a new pathway to a golden future. Sharon Forster was born with the gift of Clairvoyance and uses her gifts to help those who need practical advice with everyday problems and to help them glimpse the other-side for answers as well. Sharon believes in the power of forgiveness, which then allows healing to take place. She brings a great sense of peace, awareness and well-being to her clients as a whole. Sharon also specializes in Angel/Oracle readings, Etheric Reconstructive Surgery (Working on an Etheric level with Master Surgeons and Ascended Masters and Guides). Suffering from fatigue, moodiness, weight gain, hot flashes or something else? Are you tired of feeling tired? Have you been told everything looks normal? Are you ready to take charge of your health and wellbeing? Hormone balance has a big impact on our health and our lives. It affects how we feel day-to-day and how we interact with other people. Hormonal problems take many different forms and affect all ages. Our successful patients understand that wellness is a process. If you are ready to take an active role in your journey to health and are ready to get started, we are the practice for you! Tinamarie Heckman is an experienced Intuitive/Psychic, Spiritual Medium, Animal Communicator, and Spiritual Confidant. Tinamarie is a compassionate, practical, sensitive and trustworthy individual who has the ability to bring light into your Love life, Career, Spiritual path and other areas of your life. Tinamarie is invested in giving you all the support you need to understand your own personal mission and purpose. We provide a progressive, holistic and independent approach in spiritual practice. Weaving a New Tapestry of Truth and embracing the idea that LOVE is the Co-Creative force residing in every living being. We provide a home for those choosing to follow a spiritual rather than religious practice. SLCC incorporates the Ageless Wisdom, Metaphysics, and New Thought and are committed to remaining "open at the top" by integrating Heart & Mind, bringing forth new ways of thinking, and being. Sunday Morning Celebration, Meditation, Classes, Spiritual Counseling. Grow with us and Welcome Home! 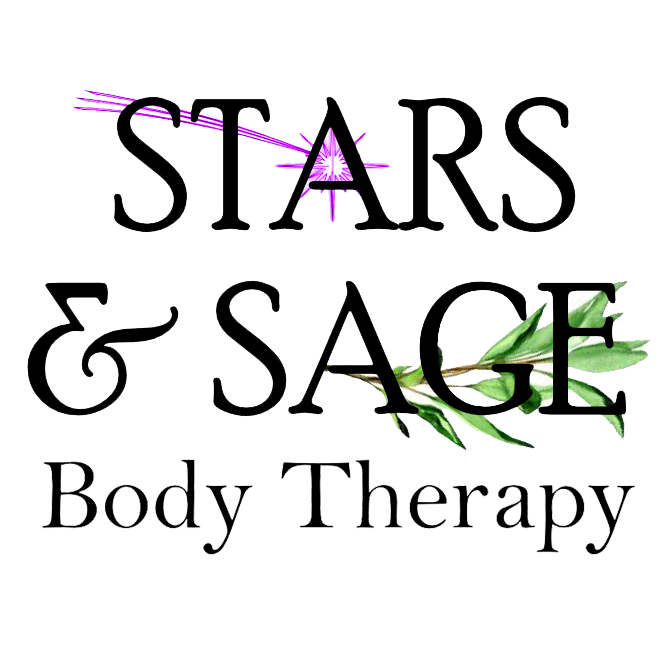 At Stars And Sage, our skilled massage therapists provide clients in Matthews, North Carolina, with spa treatments for the whole body. For more than seven years, Holley has been helping people to relax by removing toxins, hydrating body tissues, and nourishing the body as a whole. In addition to the professional massage services and detox foot baths, we also sell several nutritional products. We have a dedicated team providing excellent service. Instructor & Author, Susan Latner is here doing Tarot Card readings for you from the Connolly Tarot Deck and will autograph copies of her novel, "Know My Light, a woman's journey through past life experiences." A fun selection of classes to expand your own Psychic abilities is available. Susan has a bachelor's degree in Psychology and a second degree in Esoteric Studies. Handcrafted silver gemstone jewelry creations that help remind us that we are all connected to the energy around us. Sweet's Elderberry Syrup is a super immune booster and effective natural remedy for coughs, colds, the flu and seasonal allergies. Organic, handcrafted, local and delicious! Illuminating your expansion by tuning into divine knowing. Ty's a clairvoyant, medical intuitive and energetic healer who receives vivid and dynamic information, rich in dimension, for an expanded view of your past, present and future. Your truths are channeled by the following abilities. As a medical intuitive, your healing is promoted in manner that works to enhance traditional forms of treatment. In a Sacred Space with a Pure Heart and Clear Intention, we combine crystals, resin, copper coils and spirals for a piezoelectric effect. In Co-Creation with the Universe we provide assistance for a light, clean and balanced environment. The Generation Of Now is excited to play with SHIFT Charlotte this year! CLT Stash & Dash is a adult game of hide and seek. Free products and services will be stashed within the premises of SHIFT Charlotte, and you will dash to find the goods! Play to find out what's om-azingly hot and trending now in our community. CLT Stash & Dash - Come and get it! We will also be doing Live Inner-Actions and demos to empower you to expand your light body, awaken your families awareness and creatively express yourself. 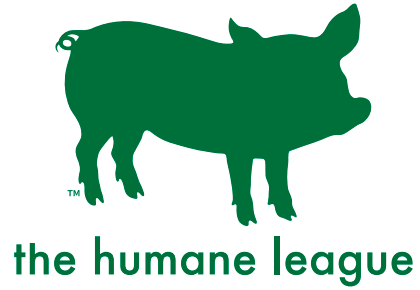 The Humane League provides information on how to live a more compassionate, peaceful lifestyle through decreasing animal suffering and eating a more plant-based diet. We will have free vegetarian starter guides, virtual reality headsets that show what life is like on a factory farm, and ways to get involved in Charlotte to help animals. We are happy to answer any and all questions, without passing judgement. We are a Salt Therapy Spa that offers all natural relief of symptoms from allergies, asthma, upper respiratory infections, sinusitis, and minor skin irritations. We have a kids salt room and an adult salt room. We offer guided meditation and sound therapy once a month in the adult salt room. As a protégé of Denise Linn and a member of Soul Coaching® International Institute; Theresa has her toolbox filled with strategies and techniques to help you connect with your Authentic Self. Professional Soul Coaching® has its’ theoretical foundation in the belief that individuals already know the answer to their questions. Theresa’s 30 plus years in the health care field and her passion for Soul Coaching® helps her clients gain new insights. Full line of natural handmade skincare products, gift packages, and energy tools. Skincare line includes body butters, balms, rollerballs, inhalers, deodorant, sprays, bath products and more. Energy tools include wrapped crystals, cast orgone pieces, other trinkets & jewelry. Grow Your Own Food. Grow a Healthier You. Good health starts with good habits, like eating wholesome foods. And with Tower Garden, you can easily grow your own fresh, nutrient-rich food virtually anywhere, year‑round, without soil. 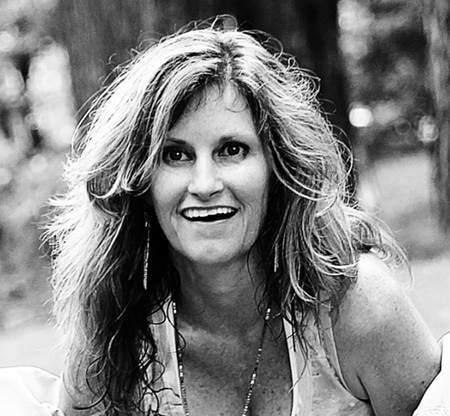 Lynne Gugliotta is a Holistic Health Coach and Yoga Instructor who is passionate about empowering women to put themselves first and take control of their health - mind, body and spirit. Lynne will help you break down the limiting beliefs that are keeping you from living your truth, and help you uncover the light and love that are inherently within you, waiting to be discovered. You deserve to be happy always, and live a life you love! We make hand wire wrapped gemstone and crystal jewelry, hand woven leather bracelets, gemstone wire wrapped rings and hand woven wire and gemstone bracelets. Viva Raw has a serious passion for helping people feel their best. Our cold-pressed juices and raw snacks help you discover the countless benefits of a body that is fully awake and alive. We source the freshest ingredients from sustainable farms. Then we do as little as possible to them. No sacrificing vital nutrients for the sake of an extended shelf life. No cheap fillers or artificial ingredients. We keep it raw, we keep it fresh, and we keep it simple. Willow Equine offers equine assisted psychotherapy and personal development. At our 40 acre farm in Mooresville, we work with clients ages 5 and up holding space for their growth and development. The experiences are not about horsemanship OR riding, but offering the space and time needed for personal growth and healing, which promotes lasting results. We encourage people to come with a goal, come with curiosity or simply come to be and breathe. 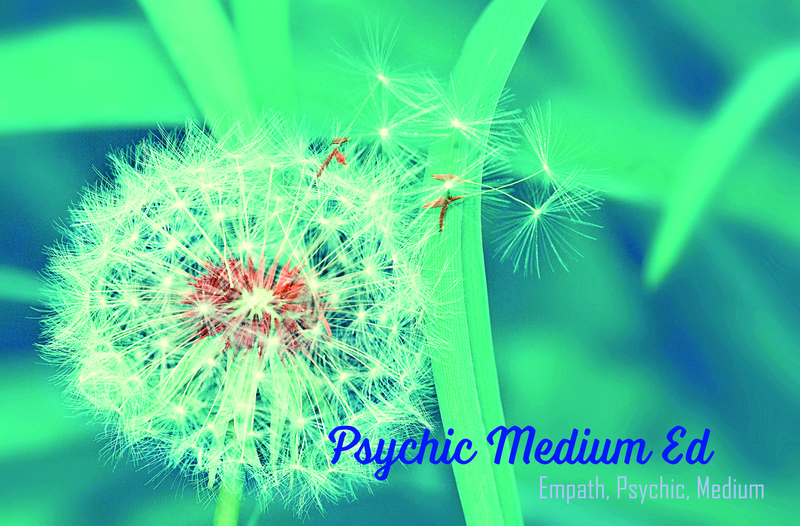 Jess conducts medium, past life and intuitive readings to help guide & heal you on your path. She offers sound advice to any questions you may have based on the information she receives. Jess' practice is based here in Charlotte, NC, but she conducts readings, workshops and mentoring sessions all over the country. Jessica's purpose is to be a bridge, connecting her clients with their Higher Self and Inner Spirit so that they can re-discover, activate and strengthen their natural intuitive gifts as well as gain tools and knowledge to facilitate positive growth on their path. 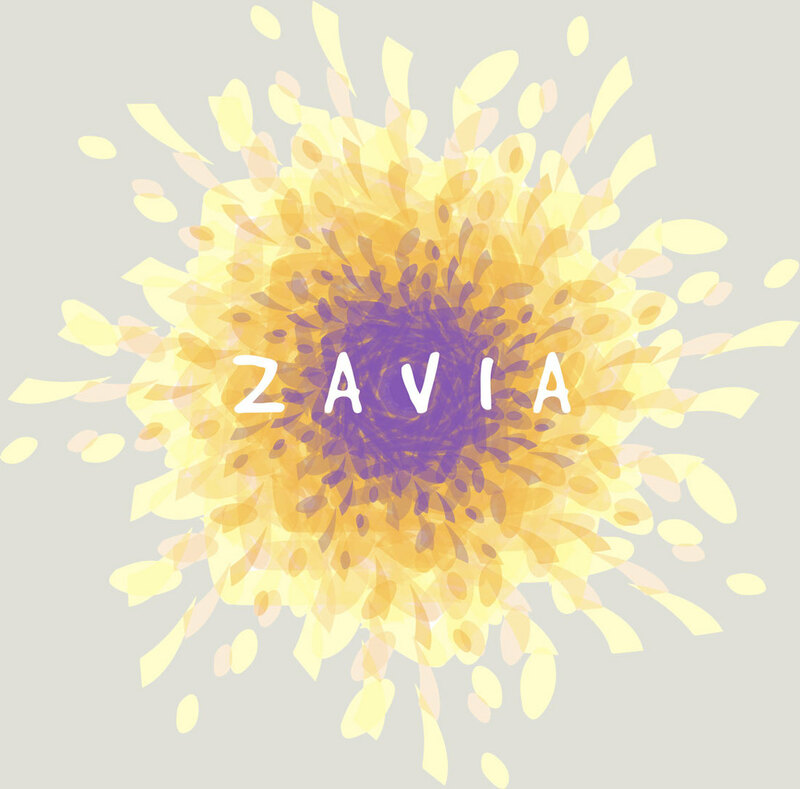 Zavia's unique style of natural stone jewelry are made with a combination of the highest quality, hand-selected stones and lava rocks. Lava rocks are very porous, and they are excellent at holding essential oil scents for extended periods of time. Simply place one drop of essential oil the lava rocks and you can enjoy the benefits of aromatherapy all day long. Soul Song Reading and Healing with Katie Sutton. Katie will tap into your energetic and spiritual body to provide guidance and information around particular questions or areas of your life. She will identify areas of your life that are out of tune bringing awareness to any trauma or stuck energy in your space. Once those structures are cleared your resonant vibration comes back in tune allowing your unique soul song to harmonize all parts of your energetic and physical body as well as your life and relationships.